When the Le Mans Esports Series launched at Silverstone in August, announcing a showpiece finale taking place alongside the real-life 2019 Le Mans 24 Hours with a prize fund of $160,000, the majority of the response from the Forza Esports community was focused on one detail of the competition requirements. Forza Esports championships - uniquely for the Esports racing scene - have so far allowed gamers to use their controller instead of the wheel/pedals combination seen in the majority of other Esports series. 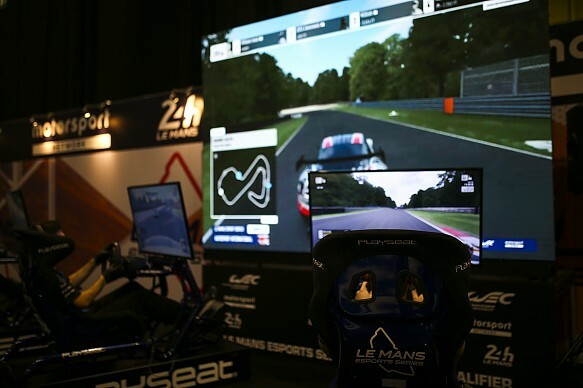 The LMES revealed its onsite events will force its competitors to use the wheel/pedals set-up, in alignment with the wider sim racing community. Forza's place in the Esports scene has always been towards the 'arcade' end of the sim racing spectrum, with many struggling with the concept of the top Forza gamers using a controller in a live-streamed Esports event, particularly when there are thousands of pounds of prize money on the line. Considering the meteoric rise in sim racers crossing over to real-life racing, whereby it's now more of a shock for one of them to not be competitive in real-life machinery than to be competitive, there is a disconnect created between real-life and sim racing when the 'best sim racers in the world' race each other with controllers. 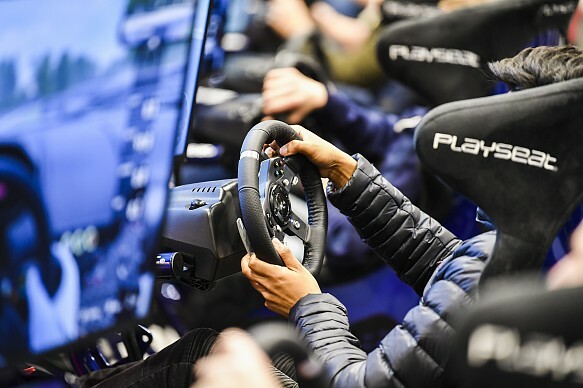 While those such as McLaren chief Zak Brown rightly point to Esports as a potential new 'grassroots' of motorsport, the main aim of sim racing is of course not to provide Formula 1 with its next stars, but to display the top talent in the virtual world. That said, the two worlds are inextricably linked, and crossover and comparisons are inevitable. Esports championships such as the F1 Esports series and the LMES would not be possible without the involvement of the real-life racing world. 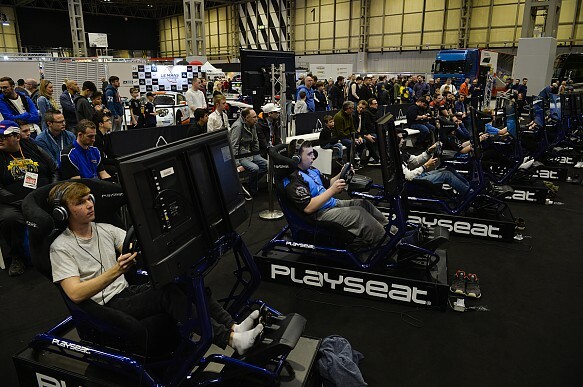 The LMES attempts to remove this stigma by opting to only allow gamers to use wheel/pedals. This was initially met with scepticism from many seasoned Forza players, including former Veloce driver turned Lazarus Esports man Tobin Leigh (pictured bottom left, above). His opinion, along with other racers, changed over time, with Leigh citing the Autosport International qualifier as evidence of why he's now more accepting of the change. "My initial reaction was sceptical - using a wheel is new to me and is to most of the other Forza players, so I didn't know what to expect," Leigh told Autosport. "But at the same time, I was quite excited because I knew that it would shake up the field. It most certainly has and that's good to see. "You have some ForzaRC champions struggling out there like Laige [Aurelien Mallet], and it attracts new sim racers to Forza like Isaac [Price], who have settled in and adapted really quickly. I was unsure of what to expect, but I was happy with how I adapted to it and how it played out in the end." Leigh made a late decision to attend ASI, turning up on Saturday and attempting to obtain one of two qualifying spots available to the public to join 10 pre-qualified drivers in the main race on Sunday. He set a stunning lap time around Brands Hatch, more than a second quicker than the nearest competition, Aston Martin factory driver Ross Gunn. Unsurprisingly, Gunn asked Leigh for some sim racing tips and kept a keen interest in how Leigh was able to carry so much speed through the corners. The fastest time allowed Leigh to participate in the main race, where he stormed from 11th on the grid to second place, booking his spot at the Le Mans Super Final. Race winner Shaun Arnold (below) had already qualified for the final during the first round at Silverstone. 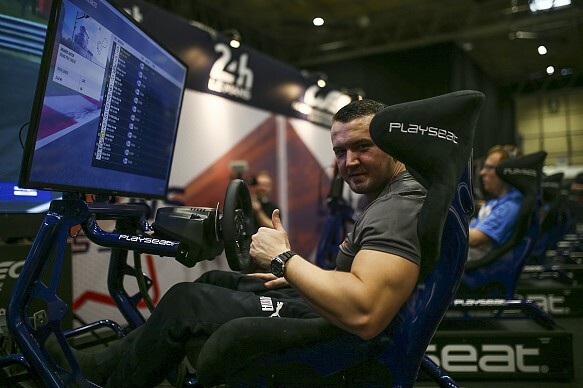 Leigh, who was used to driving Forza on a controller, believes the impressive performances of himself and other drivers adapting to the wheel at ASI shows that Forza stars can be quick regardless of the input used. "It improves the image of the Forza scene because there's a lot of debate in sim racing as a result of Forza sim racers using controllers, and they say Forza players are talentless on a wheel," Leigh said after the race. "Out there today, I think we've proved that we're not." ASI qualifier winner and current LMES points leader Arnold echoed Leigh's thoughts on the potential for the series to banish some of the stigma from the Esports scene. "I've played other platforms on the wheel, so going to Forza with a wheel wasn't such a big step," Arnold told Autosport. "A lot of people struggled, but for me it was natural. We do get a lot of stick - 'it's not real sim racing' and things like that. "I can understand it but hopefully LMES can show that people who compete in other Forza events on a controller are just as good as they are on a wheel. "Maybe some drivers need more practice or time, but I think LMES has helped to take some of that stigma away." This stigma is, of course, important to professional racing teams and sponsors alike. While the 'glory days' of a bunch of mates racing each other for fun is something fondly remembered by most gamers, the sim racing landscape has changed, and those days are over. 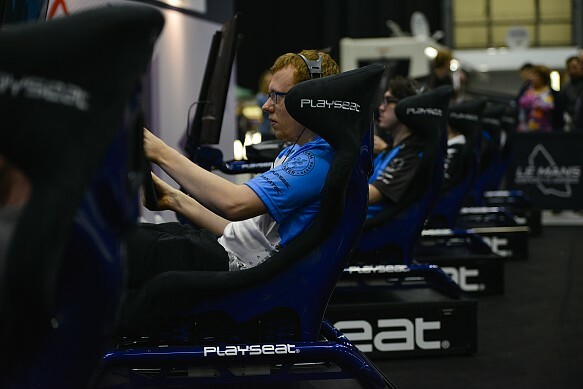 The top sim racing stars can build careers now, and it's impossible to ignore the benefits to the top teams in having drivers all competing on professional sim racing rigs. In mid-2018, Williams Esports driver Isaac Price targeted success on Forza, after taking Esports championships on iRacing and ProjectCARS. He likened his challenge of adapting to the game to that of those sim racers trying to adapt to the wheel from the controller. "A lot of people did a good job adapting, some not such a good job," said Price. "I had to adapt to learn Forza, but I've had the chance to do that over the past few months, so for me today was the easy part now I'm in my comfort zone, whereas for them, this was the learning experience. "I found that challenge enjoyable. In the end, if you have talent, you can adapt. Everyone's got a different journey in this competition." Many drivers, such as Leigh, have decided to take on the challenge due to the open and accessible nature of LMES qualifying. If successful, a gamer could qualify at the next round at Sebring having never competed in the series before, just as Leigh did at ASI. With most of the top Forza players using a controller, the LMES is more of a level playing field. It's a reset button when it comes to the competitive order, and importantly it expands the net to those other top sim racing talents and teams who have previously been put off by the input method of Forza Esports events so far. It was a challenge that gamers had a long time to prepare for. The decision was included in the initial series announcement, more than four months before the first-time gamers would have to qualify with a wheel, and 10 months prior to the Super Final. Of course, there will be some gamers unable or unwilling to adapt to the wheel, but such is the recent expansive nature of the Esports scene that there are plenty of other alternatives out there. The LMES is not solely confined to, or trying to revolutionise, the Forza Esports scene, it's simply a competitive, professional but accessible championship offering something unique in an increasingly crowded market. For those not yet qualified or even signed up, there are still two more qualifying events to come before the Super Final alongside Le Mans at the end of June. And as one driver joked at ASI, the $160,000 prize fund is surely good enough motivation to adapt.